Growing up, if there was any traditional meal that featured once a year and during Christmas, it was my mother’s fried rice. We almost always started chopping the veggies early in the morning and by late afternoon Christmas food was ready. For the life of me, I will never understand why cooking in Nigeria took forever while I was younger. My mother always made her special fried rice with the trimmings. And every year mommy’s fried rice came with different trimmings. This year, I’ll be making mom’s special Kidney bean fried rice which has now become my vegetable fried rice. Let me tell you guys something. I made this fried rice for my friend and until today, she keeps saying…”please make me that your fried rice, There’s this taste that I cannot explain and it keeps me wanting for more.” And I kept saying “it’s just cloves…” lol(I think cloves is known as Kanafuru in Nigeria). During the holiday season, it’s quite easy to pack on the pounds and this rice recipe with the crunchy veggies goes a long way for me as I try to eat meat a lot less. Trust me, it’s a lesson learned. And for those who enjoy their meat, you could pair it with some paprika chicken(recipe included). You could also eye ball the ingredients for the chicken and use it for a whole roaster chicken or a small turkey. Trust me, you cannot go wrong with this recipe. Add the bay leaf, cloves and bouillon if using. Stir fry for a few seconds to release the flavor in the herbs. Add the rice and stir fry until it begins to brown a little. Pour in the water, check for seasonings, cover with a tight lid and cook until rice is aldente. Meanwhile, heat 2tbsps oil along with the butter. Add the thyme leaves, black pepper and curry. Stir fry for a few seconds to release flavors. Add the onions and garlic and stir fry until the garlic is fragrant. Add the veggies and chili flakes(except the cabbage) and stir fry for about 3 minutes. You want the veggies to retain it's crunch. Add the kidney beans and the cabbage and stir fry for another minute. At this point you can do one of two things. 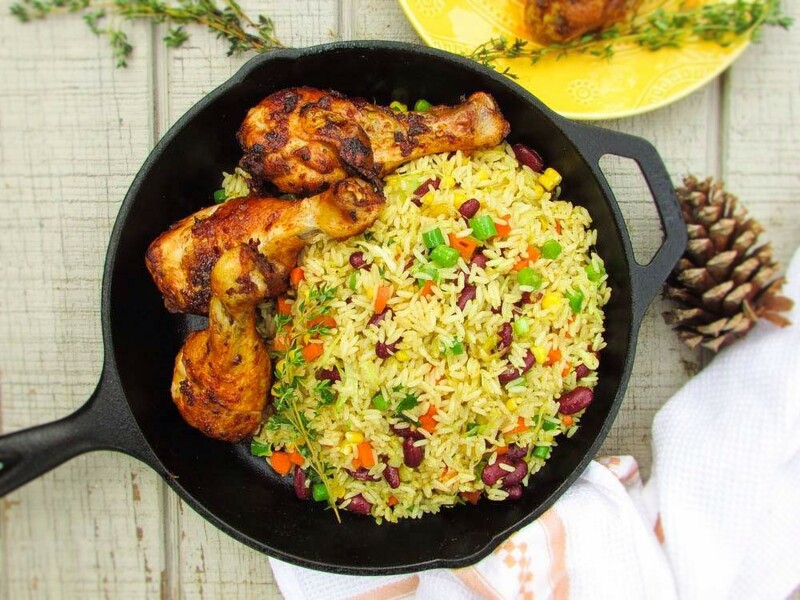 This entry was posted in Uncategorized and tagged fried beans and rice recipe, kidney bean fried rice recipe, Nigerian Fried rice recipe, Nigerian vegan fried rice recipe, Nigerian vegetable fried rice recipe, vegetable fried rice recipe. I can’t find another area to comment. I’m a silent reader but I love ur recipe and food preparation method. I am kind of angry. I was ready to prepare atadindin fried rice today after Sunday service. I went to Spar to show how serious I was. I arranged all ingredients and started with the rice but when I logged into the website, nothing was found ?. What happened? Hi! I pulled it out because it auto posted on the wrong day. It’s up today! I’m really sorry. Mma tnk u 4dis recipe. 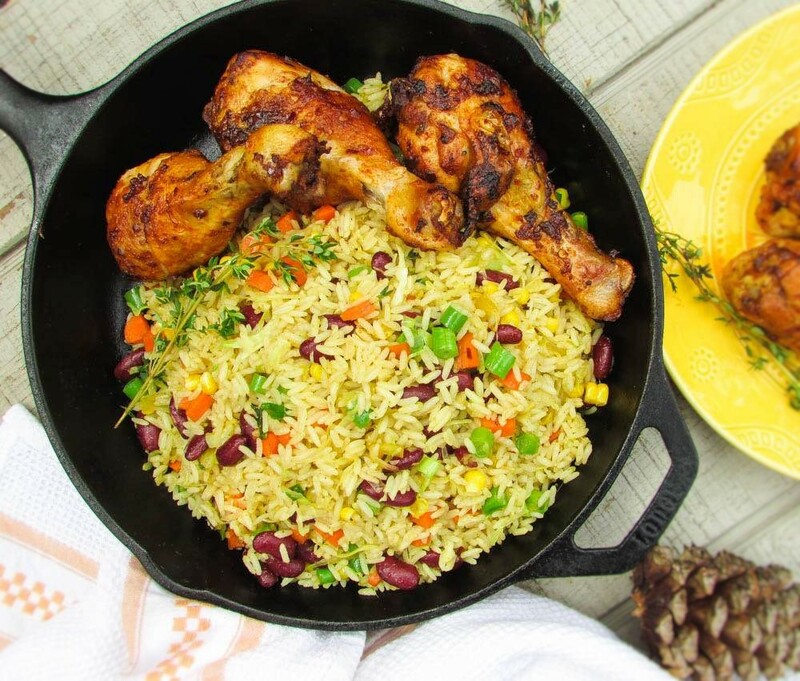 Can u use clove for jollof rice? I mean d party kind . Tnk u for ur post so far, they have bin helpful.